Dang! It's good! 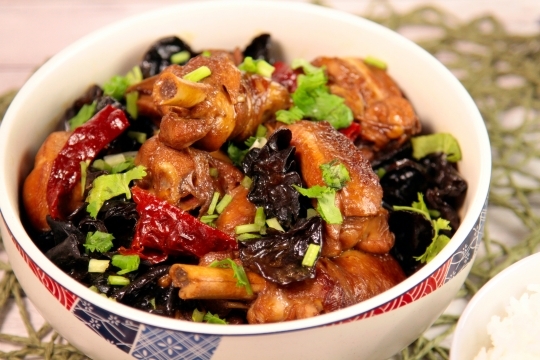 Braised 'em chickies up with some black fungus and dark soya sauce and you're in for a treat! 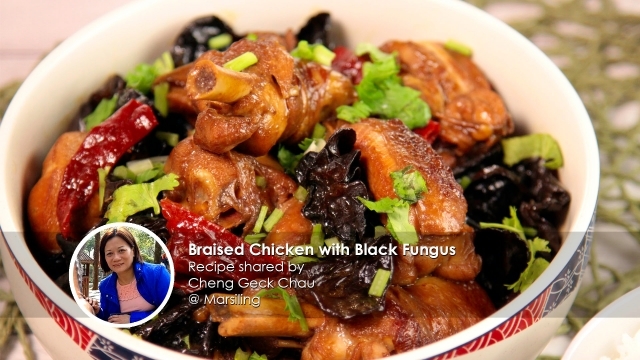 Mdm Cheng brings to the table her beloved Braised Chicken with Black Fungus. 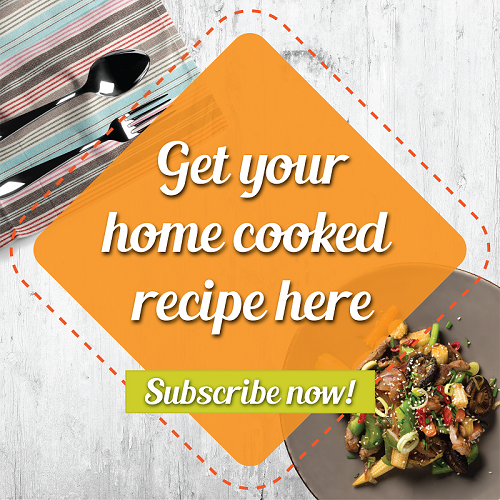 Tuck into this comforting savoury dish with a steamy bowl of rice and ignite those taste buds with every bite. 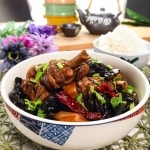 Cool the body and mind with the medicinal Black Fungus. "A simple dish and definitely my go-to dish when I have busy nights." Adding a dash of DOM or brandy can also help to promote blood circulation. Feeling like it's the time of the month, but yet it is being irregular? 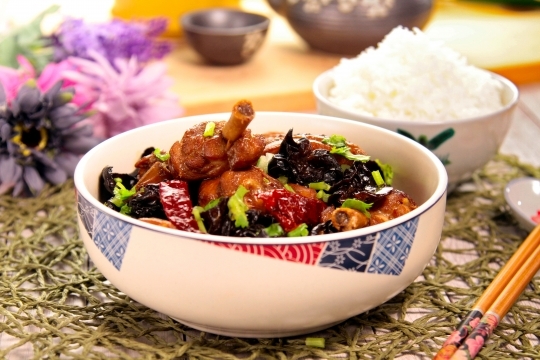 Black Fungus can help to keep those dates in check! Its health benefits even go on to help with cardiovascular issues, constipation as well as inflammation! "Drizzle the delicious gravy on a steaming bowl of rice and wow! It's a winner!" Download Share Food mobile app and order a serving of delicious home cooked food today!